The offering from IC Markets isn’t new for the industry, but does represent an important area for brokers to focus on. While broker resources are often spent on marketing and trading platforms, partner products tend to be low on the list of priorities. As a result, many affiliates that sign up for aggressive revenue deals from brokers will complain about unsatisfactory programs to track their campaigns and conversions. Even with the advance of CRMs and trading platforms, it isn’t uncommon to hear of brokers conducting manual calculations with spreadsheets to decipher their monthly obligations to IBs. For IC Markets, the focus on creating affiliate products comes as the broker has experienced tremendous growth of its partnership program. As mentioned, the broker currently has a base of 2500 partners, with over a third being called by Budzinski as “big IB’s and affiliates”. 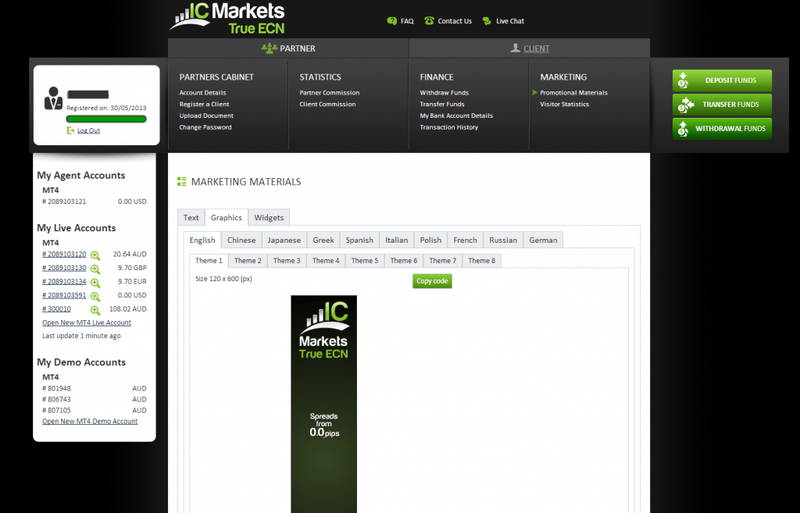 In terms of volumes, IC Markets currently offers both MT4 and cTrader on an ECN basis. Launched in October 2012, cTrader currently composes around 10% of the broker’s reported $50 billion in monthly volumes. Despite the growth in the product, Budzinski explained that they haven’t fully integrated cTrader affiliate tracking within their MT4 partners portal. However, he added that tracking for the two platforms is expected to be available on one portal in the next few months. At $50 billion a month in volume, IC Markets represents the fast growing Australian market, which along with Pepperstone and Go Markets, are seeing interest in forex trading from the entire APAC region.